Would you like another lick of my flavor wax? 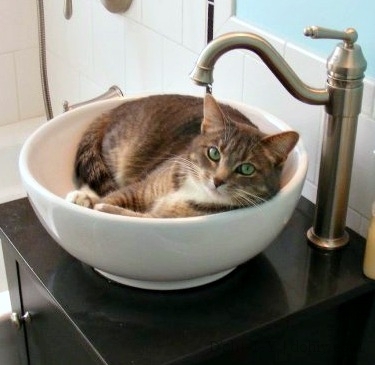 We have a vessel sink in our main bathroom, modeled here by a cat. I was suspicious of the price ($59 in 2009–still the price today), but it had great reviews. At the time, the Kev opined that it was a little too ornate. I agreed, but was won over by the price; other vessel fillers were four to five times the money. After a few months, I discovered why it was so affordable. The finish is thin, thin, thin. Once it started pitting, there was no going back. The finish is not included in the warranty. Since the thing still works just fine, I’m on the casual lookout for a higher-quality replacement (one with cleaner lines and a finish warranty) on sale. But the pits bothered me, and the internet didn’t seem to have a cure. Enter Rub n Buff. Rub n Buff is a metallic wax available in a range of colors. I used Pewter for this adventure (I used a gold tone for the vintage light restoration I did last year). 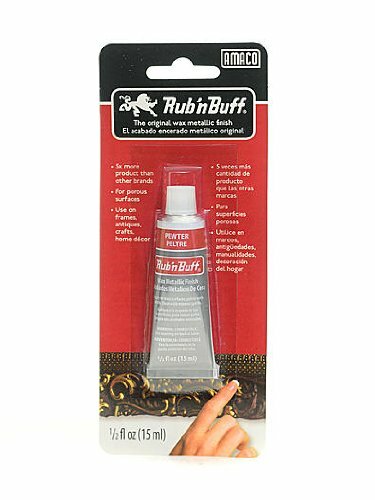 Rub n Buff is available at hobby and art stores, but it’s also (unexpectedly) available at Overstock for a great price. 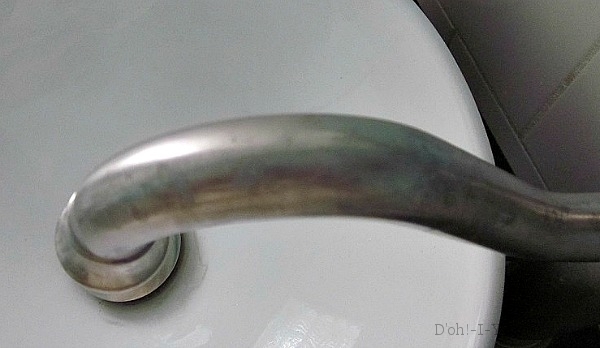 Initially, I applied the Rub n Buff all over the faucet section. I went at the task with more enthusiasm than discretion, and used far too much wax, resulting in gloppiness. I buffed and buffed, and ended up removing most of the wax…except the Rub and Buff fortuitously adhered better in the pitted areas. 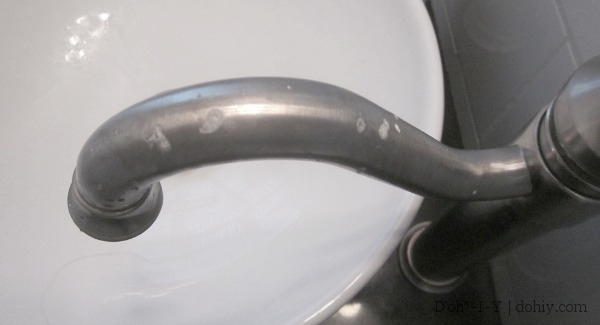 I buffed the faucet back to the original finish, leaving the pits full of the wax. It’s far from perfect, given the blotchiness, but it’s a reasonable temporary fix. It certainly looks better than the pitted version! If the pits grow, I can apply more product to them. 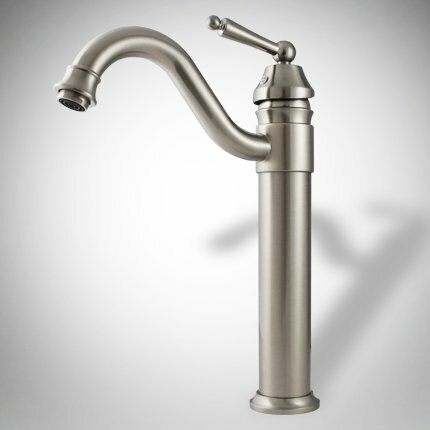 I’m hoping that won’t be an issue because the angels will sing and I’ll find the perfect replacement tap on clearance. 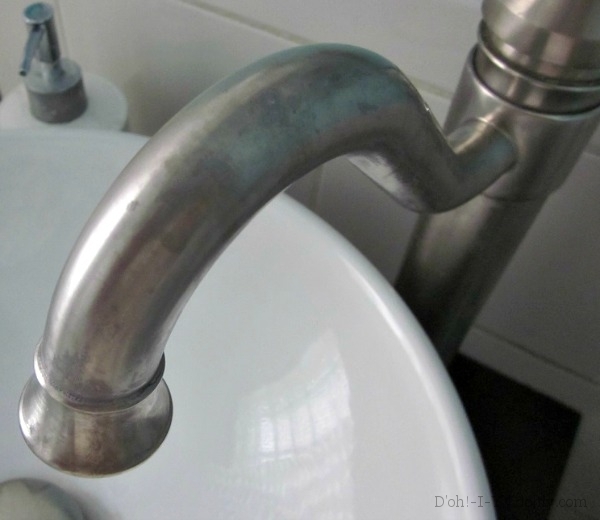 I wouldn’t not recommend this faucet, by the way. It does work well, and if you are on a budget, it could be the right option. If you do choose it or one of the other cheap models in this price range, immediately apply a coating (beeswax or similar) to protect the finish. You might be able to delay pitting that way–and you can always touch up with Rub n Buff later. 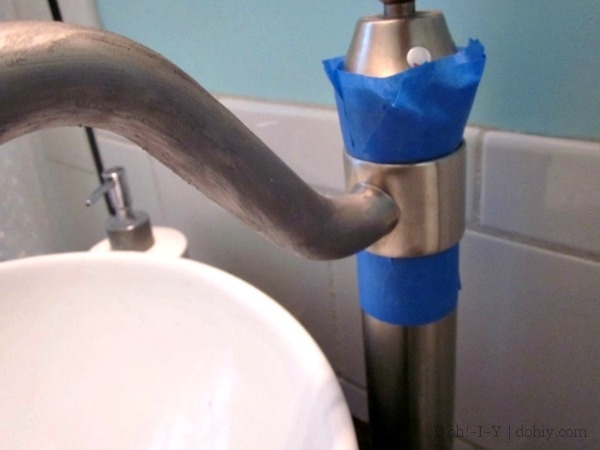 This entry was posted in American vs English, Bathroom, Before & After, D'oh!, Plumbing, Repair & Maintenance and tagged bathroom faucet pitting, cheap vessel faucet, cheap vessel filler, covering pits on tap finish, fixing pitted faucet finish. Bookmark the permalink.